Did you know that this year marks the 50th anniversary of PRINT, the premier event in the printing industry? After so many years of this event, you’d think it might have become dated, but this year’s PRINT 18 is more relevant than ever. At what some would call “middle age,” it remains an important conference for our industry. So what’s all the buzz about with PRINT 18? This event covers all aspects of the printing and graphic communications industries and serves as a showcase for unveiling new innovations and technologies. 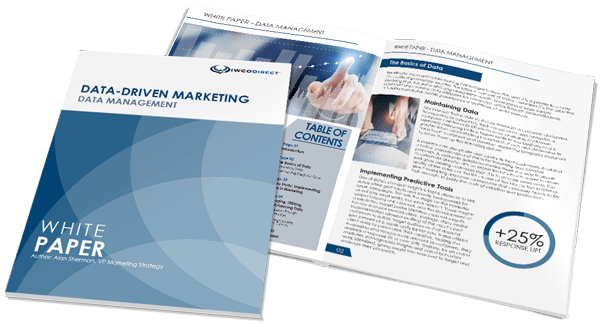 This includes all related and supporting technologies, from software products for digital composition and workflows to finishing equipment for direct mail marketing. Given the breadth and depth of technology at the show, it appeals to a broad range of professionals. Whether you are in sales looking at the latest samples, or in operations looking for the next great efficiency gain, there is something for you at PRINT 18. It’s no secret that the record low unemployment rates in recent months, have created a tight labor market across the country. As a result, the IWCO Direct team will focus on learning more about technologies that can streamline our workflow and improve our overall operational efficiencies. One area of emphasis will be high efficiency production equipment and automation. Another area will be software tools to streamline the front-end processing of jobs and print files. Combining these two areas enhances our capacity and capabilities while minimizing the impact to our workforce. In the age of constant emails, texts, phone calls, and meetings, focus is a luxury. One of the valuable things the show provides for our team is immersion and focus on innovation and technology with fewer distractions. It also gives us a unique opportunity to compare competing technologies side by side. Whether you are looking to streamline your current business, develop new innovative products, or break into new markets, do not overlook the benefits and efficiency gains that come with technology research at the show. There are so many seminars and presentations that you can find an expert in every area you want to research. Another great benefit of the show is exposure to state-of-the-art products, including alternative uses of technology in related fields. It is a great way to compare and learn how we can leverage existing or related technology to provide new products for our clients. We hope you can join us at PRINT 18. We’ll be there looking for innovative ways to improve and expand our business. We can’t wait to see what this event has to offer during its 50th year!